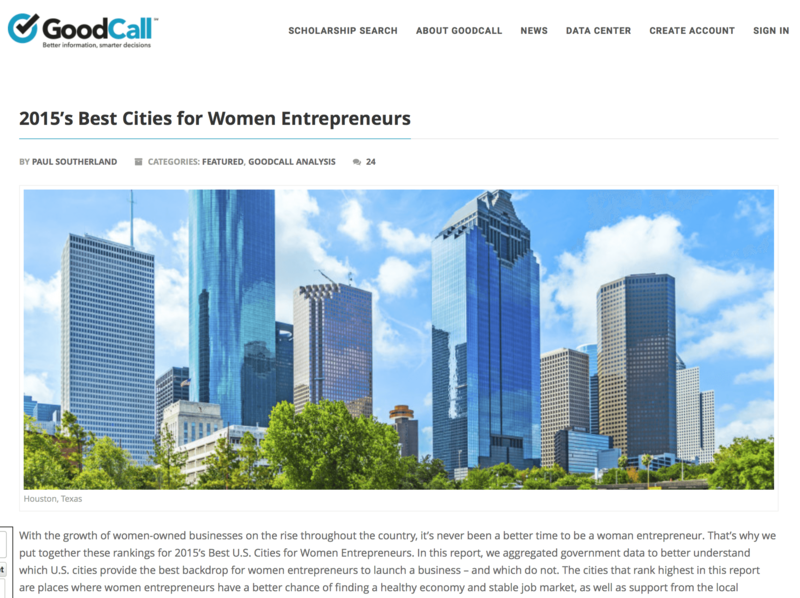 I was thrilled to be included in this GoodCall article about the best cities for women entrepreneurs! What a fun piece to be a part of – and something that hits close to home! Check out the article here for a couple of my tips and tricks about starting your own business.